We are very close to being finished with Mr Wards 2nd home. 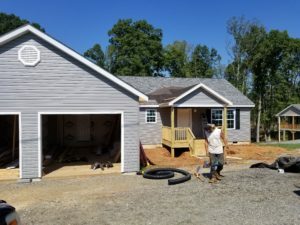 we added a 2 car garage , small front porch and have a rear deck in progress. The interior is done(will have pics soon) Now if 2 windows would come in!!! I could wrap it up in a little over a week!! !